Recently, I enrolled for a Chinese language learning course (HSK) that requires a good headset and/or any other quality audio gadget to help with their proficiency tests. Having had other heavier audio equipment in the past, I decided to go for a very portable one, hence the purchase of Anker SoundCore A3101 Mini Bluetooth Speaker. I have used the speaker for more than five (5) months already before deciding to create a genuine review content for it. In this review, I’ll be focusing on the performance, feature vs price, overall value, and specifications. 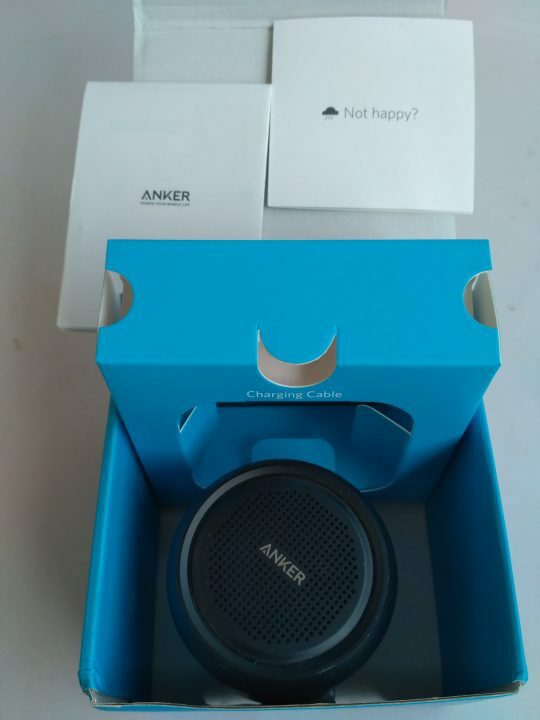 Anker SoundCore mini-Bluetooth speaker is shipped with a detailed user-manual, a 20 inches (or 508mm) Micro USB charging cable, their customer support leaflet, and the wireless speaker itself. It features a high-definition MP3 player, an FM radio player, Micro SD support and auxiliary port communications. Anker SoundCore A3101 Bluetooth 4.0 speaker is portable, has support for full-range audio crossover and phone functions. Anker SoundCore mini wireless speaker comes with a tremendous audio quality, and can manage heavy bass better than most other Bluetooth speakers within this price-range. Here’s the gadget’s specification in-full. Features: Built-in Microphone, Phone functions, Radio, Portable Mp3, Bluetooth, 3.5mm AUX, Micro USB, full-range audio crossover, enhanced bass, passive subwoofer. & extensive wireless communications. Compatibility: Laptop, MacBook, Tablet PC, Smartphones, 3.5mm AUX external audio gadgets, Micro SD card and/or other devices that supports Bluetooth wireless audio communication. 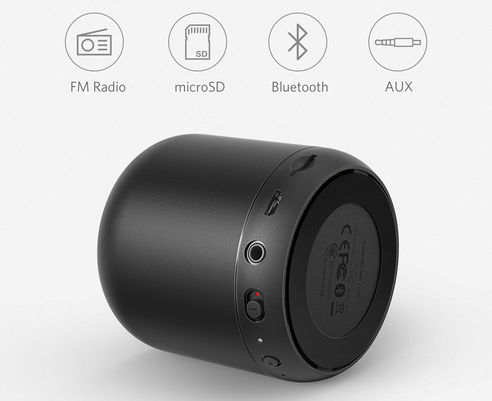 Using Anker SoundCore A3101 mini-Bluetooth speaker is no different from other wireless stereo speakers. For first use, it is required that you charge the device for at least 3 hours. Once fully charged, follow after these steps to pair your first smartphone or any other Bluetooth wireless audio gadget. Turn on the Bluetooth speaker by shifting the button labelled number 5 above. Go to settings on your phone’s screen and turn on Bluetooth. Scan for new devices and click on SoundCore mini from the list of nearby devices. 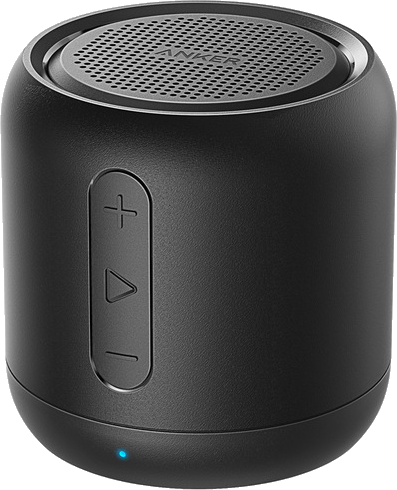 Allow your phone (or device) to pair with Anker mini speaker by keeping both within the communication range specified. Turn on music, movie, video and/or any other multimedia content of your choice to start enjoying your new gadget. Connect your Micro USB cable (acts as the Antenna) to the device and use the mode button labelled number 4 above to switch to radio. Then use the volume up and volume down buttons to switch between channels/stations. Simply plug in the audio cable (or slot in a memory card) and allow it to automatically switch to that mode. The volume up and volume down button is used to switch between tracks. Anker is a top manufacturer of Power banks, home improvement and consumer electronics. Their products are sold on Jumia, Konga, Bestbuy, Amazon, Aliexpress and other top online shopping malls. This copy was bought from their official store on Aliexpress. You can use the same store link to get the exact model we’re using for this review. It is sold for $29.99 or less, depending on their on-sale offer. So for, I am very much impressed with the build quality and overall performance of this speaker. The audio quality is great, so is the battery life, Radio and Mp3 functions. It worked well with Siri on my iPhone and never lagged on connected Android devices. The AUX-in jack, FM radio and micro SD functions worked as supposed. In the negatives: I’d have loved a remote control function for a slightly higher price and the 1800 mAh battery hardly gets to 8.5hrs playtime on top volume blast. Overall, I’ll rate it a 4.5/5 stars audio gadget considering the features vs price. Overall Build and quality is good. Audio production is loud, clear, and balanced with the enhanced bass feature. Takes only about 2.5 hours to fully charge and more than 10 hours to deplete. Has support for Siri, AUX-in jack and FM radio. Works on Laptops, MacBook, Tablets, Smartphone & Bluetooth 4.0 devices. Comes with full-range audio crossover and definitely a value for money! Doesn’t come with a power adapter in the box. Could have done better with remote control functions. Comes with limited phone functions (There’s neither a built-in personal assistant nor the feature to answer/reject calls w/ audio commands). Hope to see more of these kind of reviews in the future.